Torrent clients have taken over the world of PCs in the past years. They have simplified the process of downloading large files from online servers. As a native bit torrent client for Android, SmartTorrent is optimized for smart phones and tablets. It can support multiple downloads simultaneously without affecting download speed. You can also modify the download priorities of the app as Ignore, Low, Normal or High. Pros: Supports “Wifi Only” download mode, with in-app searches for torrent seeds, with UPnP and NAT-PMP support, allows port configuration. Cons: Costs $2.99 to download. The Vuze Torrent Downloader is a light bittorrent client for Android that allows you to manage your torrent download and modify upload/download speed. The user interface of the app is pretty straightforward and you can set the download process to auto-start even after rebooting. Pros: Free to download, ad-free, supports Wifi-only download, simple user interface. Cons: Reported bugs with KitKat Android update. A light bit torrent client, the Flud Torrent Downloader doesn’t impose download speed limits. It supports UPnP, NAT-PMP and DHT plugs as well as magnet links and encryption. You have the full control over the torrent files being downloaded; you can specify download priorities, the destination folder and IP filter. Pros: Free to download, supports magnet links and encryption, supports large file downloads, allows downloading sequentially, with battery limit level option. Torrentex is a lightweight torrent downloader that can host downloads over bittorrent protocol. It doesn’t have speed limit and fully supports magnet links. Its user interface is simple to use and file selection between downloads is easy to navigate. Pros: Free to download, ad-free, supports magnet links, no speed limits, allows sharing of torrents. Cons: Doesn’t have a quit button, the app is slow to navigate. 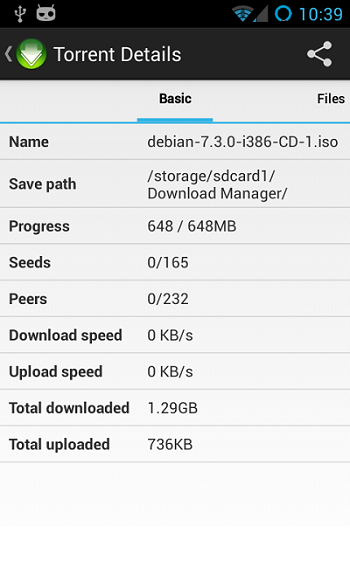 The Torrent Download Manager is a native bittorrent downloader for Android. Aside from downloading torrents, it can also download internet files in a boosted download speed by running multi-threading download. Multi-threading download splits the internet file into multiple bits so the download speed can be boosted by up to 5x the normal speed. Pros: Free to download, no download speed limit, supports magnet links and encryption, allows download scheduling. aDownloader is a native bit torrent downloader based on libtorrent and P2P protocol. It uses open SSL as it can support a secured http download. 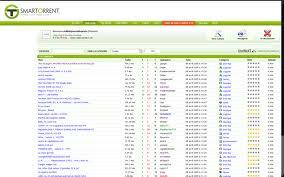 Its user interface is easy to navigate and you can download multiple torrents simultaneously. Pros: Free to download, supports multiple file downloads, uses open SSL encryption. UTorrent is a light bit torrent downloader. It has a simple user interface and fast download speeds. The app can also play media in-app. It doesn’t have download size or speed limits so you can fully manage your torrent files easily. Pros: Free to download, supports Wifi-only mode, no speed or size limit in downloads. Cons: With crash reports when saving many torrent files. tTorrent Lite is a P2P-based torrent downloader. 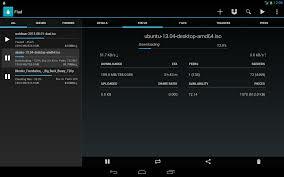 It can download large files in your Android phone like free software programs and movies. It can support multiple file downloads and queuing. It can also limit upload or download speed. Pros: Free to download, supports Wifi-only mode, with trackerless torrent support, supports IP filtering and encryption. Cons: Ad-supported, maximum download speed limited to 250kb/second. aTorrent is a light P2P bit torrent downloader. It supports magnet links and multiple parallel downloading. You can also pause downloads whenever your phone is battery-drained. It supports plenty of protocols like UDP trackers, DHT, BitTorrent P2P, HTTP, Advanced DHT Bootstrap and Magnet links. Pros: Free to download, supports magnet links, allows choosing of download folder, allows limiting download by Wifi, speed not limited with free version. Unlike other torrent apps, BitTorrent doesn’t impose limit in size and speed downloads. It is widely used because of its continuous development support. The app can list popular download files and featured artists as a guide in downloading torrent files. 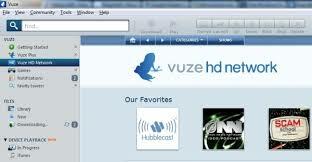 It can also play media files and the window for torrent file management is easy to use. Pros: Free to download, no speed or file size limit, supports Wifi-only mode. Cons: With crash reports when updating the app. When finding the best torrent software for your Android phone, always remember to assess the files you will frequently download. Are you a movie junkie? Or more inclined into eBooks and mp3 files? Considering the volume and size of the torrent files you will download will help you choose the best torrent software for your phone as each app differs from the speed and file size supported. My app SmartTorrent got removed from the Play Store due to in-built search functionalities, I’ve removed that, added more features and released the app again today. Can you please update the link to my app in your post?